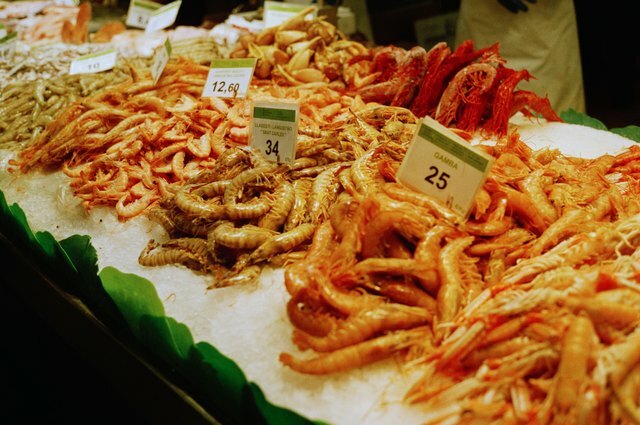 Shrimp stays fresh in the refrigerator depending on its size, ranging from jumbo to miniature; its sea of origin from around the world; or its species, of which there are hundreds. But no matter what type of shrimp you buy, the fresher it is at the store, the longer it stays fresh once you get it home. When buying shrimp, look for plumpness in cooked types and for firm texture and consistent color in raw shrimp. 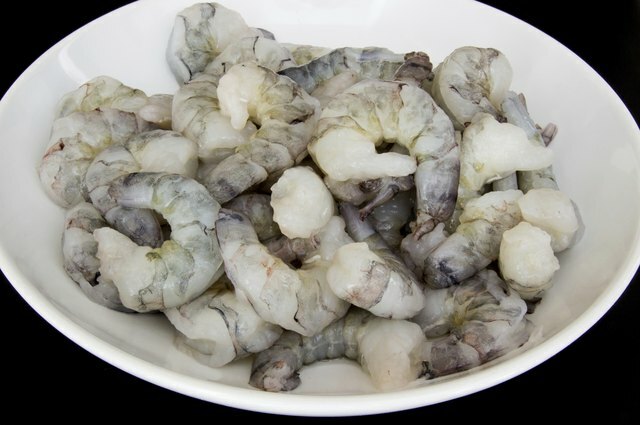 Raw shrimp, either shelled or unshelled, stays fresh in a refrigerator for 2 to 3 days. Make sure your refrigerator registers at least 40 degrees Fahrenheit or lower, and place the fish in the lowest section of the fridge, where temperatures are coldest. Wrap the shrimp well in plastic or keep it in an airtight container, and place the container on a plate to catch any errant drips. Shelled and unshelled, cooked shrimp stays fresh for about 3 to 4 days in the fridge, wrapped in plastic or stored in an airtight glass or plastic container. If you buy shrimp on a hot day, ask for a cold pack with which to take it home or put a cooler in your car to transport the fish home. 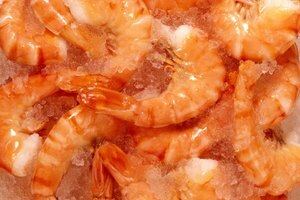 According to the U.S. Department of Agriculture, some food-borne bacteria double their growth for every 20 minutes they sit at temperatures above 40 F.
If you smell a strong ammonia odor when you unwrap either cooked or raw shrimp, it is past its prime; either type of shrimp should have a mild smell. The shrimp should also be firm-textured, not soft and squishy, and have no dark spots or blotches, which are signs of bacteria. Throw away any shrimp that you suspect might be spoiled in any of these ways even if it has been refrigerated for just 1 or 2 days. 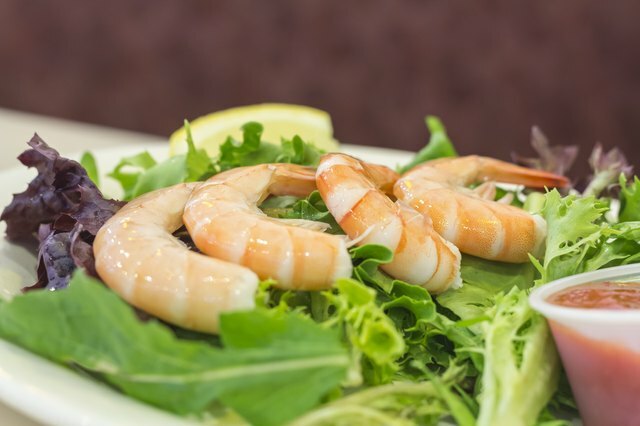 Although shrimp stays safe from bacteria growth indefinitely in the freezer, its quality suffers and the flesh will be soft and unappetizing if you leave it frozen for too long. For the best quality, double-wrap the shrimp tightly, first in plastic and then in foil. Keep cooked shrimp frozen for 2 to 3 months and freeze fresh, uncooked shrimp for up to 4 months. 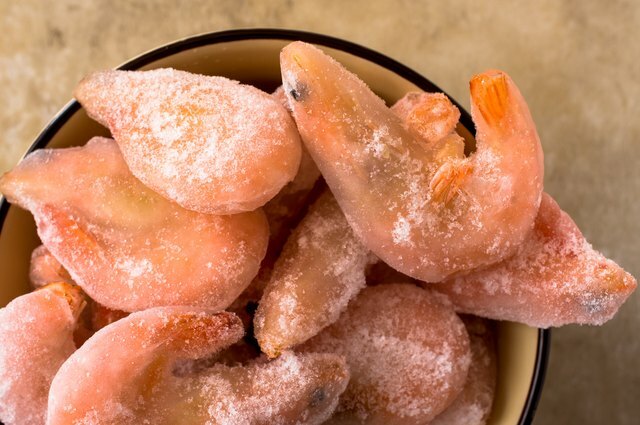 Thaw frozen shrimp overnight in the refrigerator.